As an American citizen you have certain rights, and you expect they will be respected. Unfortunately, law enforcement officers throughout the country often violate the rights of citizens, whether by willful disregard or through negligence. The U.S. Constitution guarantees citizens’ individual rights to freedom from unreasonable searches and seizures. Throughout the nation’s history, an enormous body of law has arisen interpreting when searches and seizures are deemed reasonable under the circumstances. If you have been illegally searched or your property illegally seized, contact a criminal defense attorney at Goldstein, Goldstein, Hilley & Orr. The attorneys at have been at the forefront of many recent developments in the law involving illegal searches and seizures. They continue to educate themselves on the law, and they are admant about protecting the rights of others. The San Antonio illegal search and seizure attorneys fight criminal charges at both the state and national level. They represent clients throughout San Antonio and the surrounding areas in Texas. Call (210) 226-1463 to schedule a free consultation. What is Considered an Illegal Search? A search warrant allows law enforcement personnel to search particular and specified places for particular and specified items. This means although entering a home is permitted, an officer cannot rummage through all items. The officers must use the warrant to locate the specific items in the search warrant. For example, if a search warrant is executed to locate illegal narcotics in a drug trafficking case, the officers must search within the specified bounds and search to locate those particular items. However, there are several exceptions to the warrant requirement, including if a person gives an officer consent to search his or her vehicle. Officers also can enter a building or a home for a search without a warrant if there is an emergency situation, such as an armed suspect or a kidnapping. When evidence against you has been obtained through an illegal search, the attorneys at Goldstein, Goldstein, Hilley & Orr file and litigate motions to suppress the evidence illegally obtained. These motions demand that the court exclude that evidence from consideration by the jury during your criminal trial. If the judge denies your lawyer’s motion for exclusion of evidence obtained through an illegal search and, as a result of that evidence, you are convicted of a crime, we can pursue appeals and other post-conviction remedies based on the judge’s error. Attorney Gerry Goldstein often is asked to speak at many of the top seminars in the country on topics related to search and seizure law. 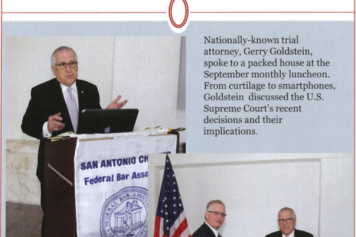 Goldstein gave a speech on the topic of “Fourth Amendment Case Law Update” at the State Bar of Texas 39th Annual Advanced Criminal Law Court on July 22-25, 2013. He has served as adjunct professor of advanced criminal law at the University of Texas School of Law in Austin, Texas, and St. Mary’s University School of Law in San Antonio, Texas, for more than 20 years. 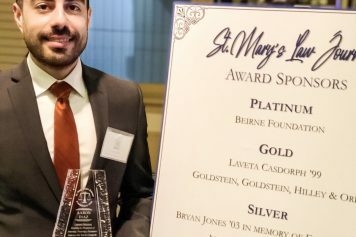 He also is a member of the Board of Regents of the National Criminal Defense College and lectures frequently on criminal law and procedure at continuing legal education seminars throughout the United States. Fourth Amendment – This link explains the rights given to citizens in the Fourth Amendment. This law is the basis for things regarding search warrants, stop-and-frisk tactics and other things that may impose on a citizen’s privacy. Illegal Search and Seizue FAQ – FindLaw breaks down some of the most common questions about illegal searches and seizures. The questions explain how the laws apply regarding searching your home, vehicle and even your body. Example of Search Warrant– When law enforcement officers want to search a home or a building, they must attain a search warrant to do so legally. This link is an example of a search warrant, provided by the United States Courts. The majority of criminal charges are based on evidence obtained through some sort of search or seizure. We understand the possible lines of attack. After retaining our firm, you can feel confident that all search and seizure issues will be fully examined. If law enforcement officers in the state of Texas or throughout the United States conducted an illegal search or seizure and are using that evidence in a pending criminal case against you, then contact the criminal defense attorneys at Goldstein, Goldstein, Hilley & Orr. Trust us to challenge that evidence on your behalf. Our experienced criminal defense attorneys offer a free initial telephone consultation to discuss your case. Call (210) 226-1463.